The International Pastors and Partners Conference (IPPC) 2018 reached a climax Saturday morning with a highly expository message from Pastor Chris which touched virtually every aspect of the life of a Christian. Pastor taught extensively on faith and the role a Christian has to play to make God’s words work in his life, pointing out that a Christian has the power to dictate the direction and pace of his development in life. Even though God through his words have promised you of the good things that will come to you, but those things will not fall into your laps while you wait. You have a role to play, he said. According to Pastor, life is framed through faith which implied “the structure was created by the rhema of God in your mouth, not the one in your mind which is logos. It has to be voiced out to have effect; it’s got to come out of your mouth to frame your future. This is why prophecy is important; Moses said he wished that all God’s children should be prophets”. Prophecy, Pastor said is very important to the life of a Christian. Pastor pointed out that “nobody should create another future for you. Take your life in your own hand via prophecy. Determine how your life will go based on his word. You’re not going to be small because of your locality or your government. Through faith we understand that, adding that “through faith we understand that the worlds were framed by the word of God, so that things which are seen were not made of things which do appear.” (Hebrews 11:3 KJV). Pastor made reference to John 1:1 KJV, “In the beginning was the Word, and the Word was with God, and the Word was God.” But something else happened, Pastor informed the delegates. Going to the next verse, “The same was in the beginning with God. All things were made by him; and without him was not anything made that was made.” (John 1:2-3 KJV) “And the Word was made flesh, and dwelt among us, (and we beheld his glory, the glory as of the only begotten of the Father,) full of grace and truth.”(John 1:14 KJV). These sums up everything about faith, he said. “What a story. The word was God and became flesh. It became human. The word created all things. The logos of God created all things became human”, that is why the Bible declares that “Being born again, not of corruptible seed, but of incorruptible, by the word of God, which liveth and abideth for ever.”(1 Peter 1:23 KJV). In the words of Pastor, “If you’re born of a dog, you’re a dog. If you’re born of the word, you’re the word. This, Pastor said is very important, “don’t miss that. If you’re born of the dog, you’re a dog. All water is the same. A cup of water and a bucket of water missed together… He’s that is born of one spirit”. Pastor told the ecstatic congregation that they are words of God. ““Ye are our epistle written in our hearts, known and read of all men: Inasmuch as ye are manifestly declared to be the epistle of Christ ministered by us, written not with ink, but with the Spirit of the living God; not in tables of stone, but in fleshy tables of the heart.”(2 Corinthians 3:2-3 KJV). Awesome, it’s truly another level! I’m inspired and encouraged. Glory be to God. Pastor I love you! I thank you so much Daddy. I am the written epistle of Christ, manifested to all men. 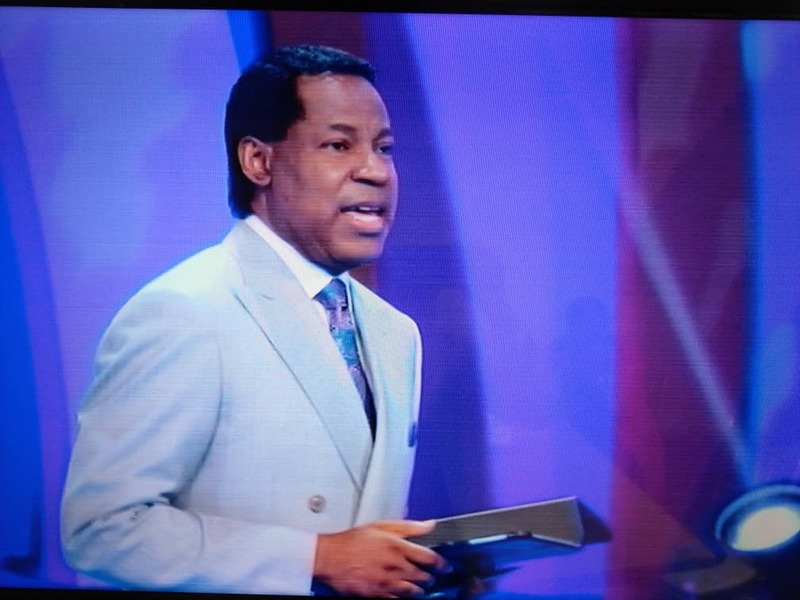 Next story The power of focus in the pursuit of purpose – Pastor Chris.